The tsunami that hit Japan will impact on the supply of new medium and heavy trucks into the South African market. The ripple effects on the world’s supply chains of the devastating earthquake and tsunami that hit Japan on March 11th are only now being fully realised and the bad news is that South Africa is in the direct line of fire writes Patrick O’Leary. Craig Uren, Chief Operating Officer of Isuzu Trucks South Africa (ITSA) looked tired as he leant against the back of the chair and started talking. You could see he had spent the past few weeks burning the midnight oil grappling with things he’s never had to deal with before. The occasion was a press conference called by ITSA to bring us up to speed on the true impact the March 11th tsunami in Japan is having on the local Isuzu operation. It went broader than that. As he spoke and went deeper into the detail of the impacts, my mind wandered back to that awful day on September 11, 2001 when two planes flown by terrorists smashed into the twin towers of the World Trade Centre in New York followed by a third into the Pentagon in Washington. As events unfolded, the realisation struck that the 9/11 attacks would change the security of the world forever. This was dÃ©jÃ vu – yet another event that would result in a change to the world. In this case, however, the change would be on supply chain structures and associated methodologies such as Just-in-Time deliveries. As is well known, globalisation has resulted in the outsourcing to outside suppliers of parts and components previously made in-house with the result that self-dependency and self-reliance is a thing of the past. The globalised economy has also seen manufacturers move away from holding warehouses full of expensive stocks of parts preferring instead to order on a Just-in-Time basis. While all links in the chain are in place and operating well , and while all airplanes are flying, all boats are sailing and all trucks are rolling, then all is well. It works like a charm to everyone’s benefit. However, enter a triple whammy upset like an earthquake followed by a tsunami followed by a potential nuclear fall-out in an area which is a major supplier of parts and components to the world, and the international supply chain is thrown into chaos. And that’s exactly what has happened following March 11th with the true impacts and effects only now being realised. The bottom line is that plant shutdowns in Japan have threatened supplies of components ranging from semi-conductors through to car and truck parts , and it’s still unknown when those supplies will be up and running again. “Don’t think only of the first tier suppliers for it goes all the way down to 4th and even 5th tier suppliers. All have been affected.” says Uren. 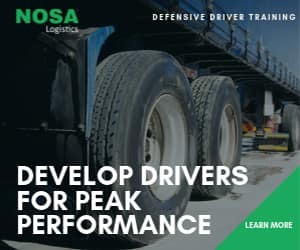 With the above scenario as background, the effect on ITSA is a big one and according to Uren, the effect on the South African truck market , particularly in the medium to heavy sector , is going to be significant. Craig Uren, COO of Isuzu Trucks South Africa: The dynamics of the market will get skewed over the next six months. “Over the next six months, we will see the dynamics of the market get skewered through the availability of extra heavy vehicles and the unavailability of medium and heavy vehicles,’ he predicts. Important to note in this respect is that over 40% of medium trucks sold into the South African market are Japanese sourced vehicles. If anyone feels this is speculation, not so. It’s reality. Uren has already lopped a significant number of trucks from this year’s sales predictions , and this for Isuzu trucks only. 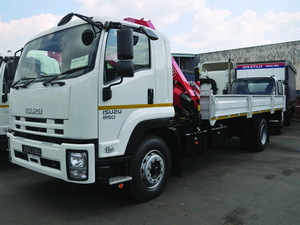 There are three other major Japanese manufacturers operating in South Africa , Hino Trucks, UD Trucks and Mitsubishi FUSO who will also no doubt be affected, either to a lesser or greater degree. Uren also anticipates a 60-day hold on supplies coming out of Japan which will translate into a 60 day ‘˜dead’ period in South Africa. “It is already one month down the line and there is still another month to go before any parts start getting shipped out. We have supplies that will take us to the end of May and we will then have a lull while waiting for more to arrive from Japan. “Our challenge is to manage the impact of that gap in South Africa and we are looking at using this time constructively to do plant maintenance and training of staff,’ he says, adding that employees will not lose their jobs. From a parts supply point of view for existing vehicles in the market, he is not too worried as ITSA ordered in extra parts at the beginning of this year in anticipation of a growth market so parts for maintenance of trucks is OK. The bottom line is that operators must start planning ahead for the reality that there is going to be a shortage in supply of medium and heavy Japanese trucks. That is an unfortunate definite. 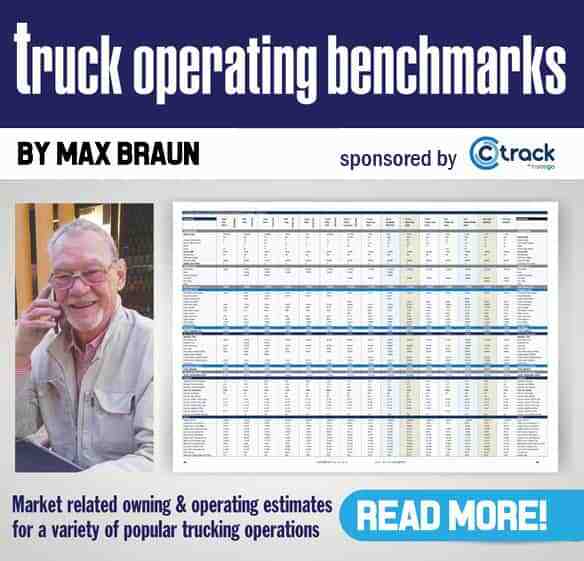 posed to them by FleetWatch accenting the unroadworthiness of trucks. Next articleI’m confused. Where is the priority?